Bizarre, fantastical and brilliant! 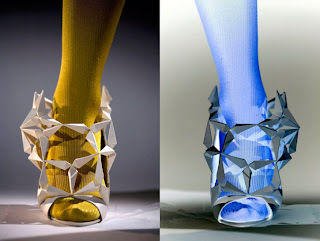 I was really excited to feature the gorgeous concept footwear of designer Andreia Chaves. I can only dream that such avant garde pieces like this could someday be available to the public! True enough, each shoe is a work of art and a brilliant study in light, contrast, proportion and the fundamentals of balance and harmony. Conceptually, she reaches even further than the aesthetics, exploring deeper themes.. 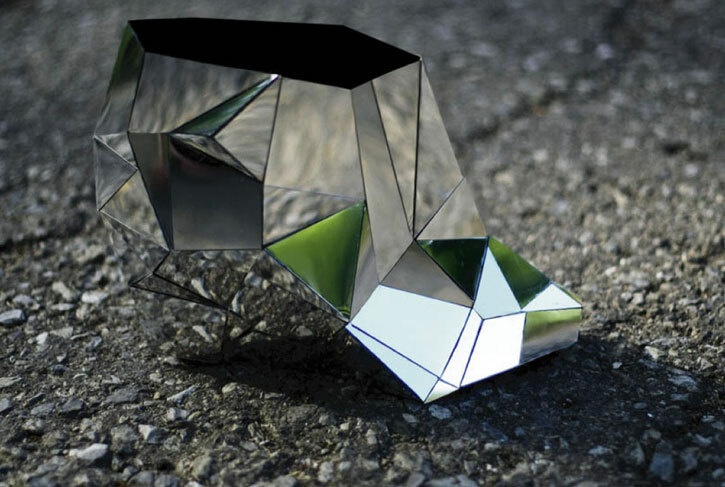 This mirrored shoe, named “The Invisible Shoe” has a fully mirrored surface and, like a chameleon, interacts or blends with the environment it steps into. I absolutely love “The Prism Shoe” because of the way it studies the 3 dimensional form of a shoe in the most unexpected way. 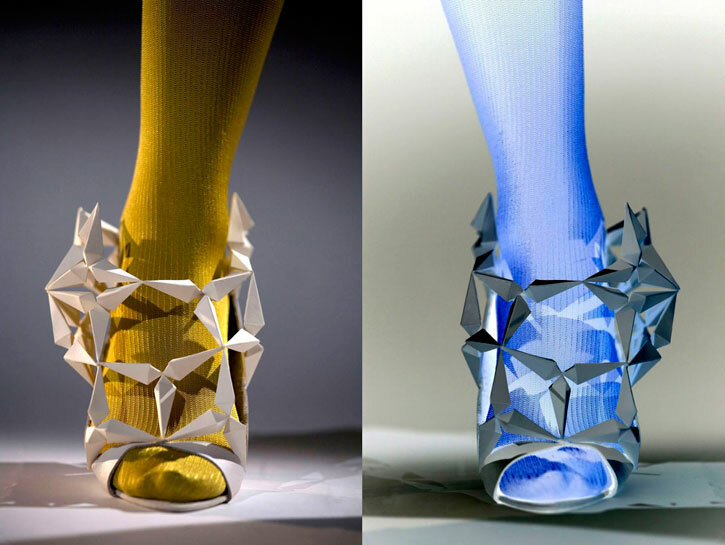 Creating shapes reminiscent of origami boxes, she challenges the very definition of a traditional high heeled shoe. 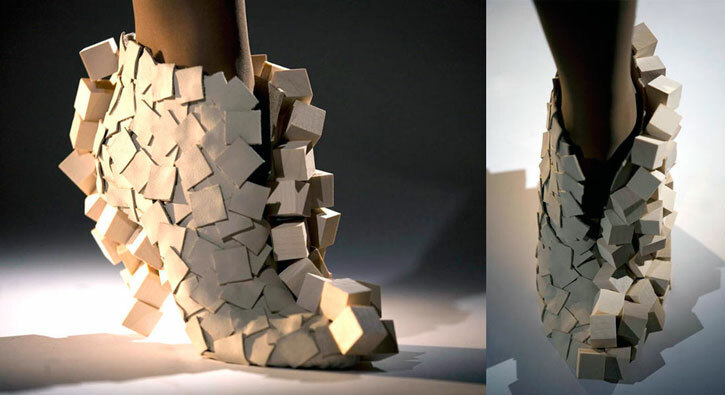 The “Form & Texture Shoe” is a mixed media piece that uses three dimensional cubes made of wood together with flat square leather panels to create a unified piece which is complex and in some ways evokes a sense of perfectly controlled anarchy. Last but certainly not least, “Twirled” evokes movements and explores different materials to create an intriguing effect. I really hope we see more of this brilliant designer in the upcoming years. If not at your local Neiman Marcus, then hopefully at the next Lady Gaga show!